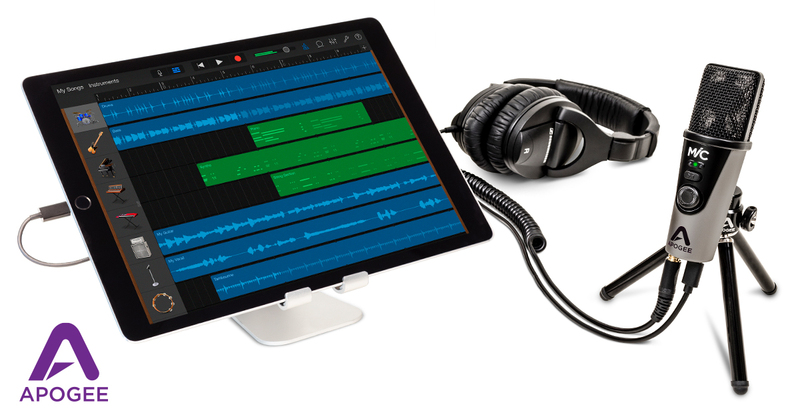 November 14, 2017, Santa Monica, California – Apogee is pleased to introduce their new MiC Plus, professional quality USB microphone for iPad, iPhone, Mac and PC. Perfect for music production, voice recording, YouTube or live streaming, MiC Plus makes it easy for both aspiring and professional artists to get that big-studio sound they can take anywhere. MiC Plus is available November 15, 2017 at Apple and Apogee dealers worldwide for $249 USD.